We love hearing feedback from our customers. We're always listening and learning about how we can improve our services in the future. What a great little application this is. 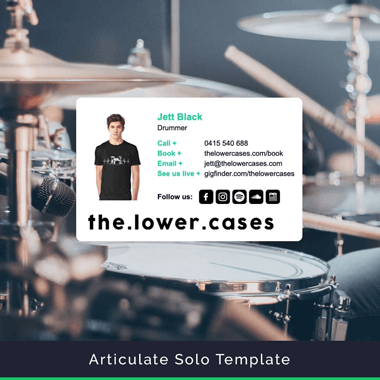 Lots of professional looking templates to choose from and the ability to set up ads and banners quickly to be used across the whole team or individually. It took some time to set up, but once it was done our staff found it very easy to use. A number of clients have already commented on how "professional" our emails look now and the rise in interest for one of the new programs we are promoting via a banner is already above expectation during the first week. Very happy with this product and the support given when I was setting it up. Would highly recommend. Just used ESR app and was simple and easy installation into Mac Mail - and signature looks great! Thanks. I've been using ESR for over a year now and it's just getting better by the day. It works on all email clients and browsers and screen sizes and operating systems - and good heavens, that in itself is a feat these days! Great flexibility without losing creative freedom or compromising integrity and viewability of the signature. Thanks guys, keep up the good work! Great flexibility without losing creative freedom or compromising integrity and viewability of the signature. Email Signature Rescue made this work fun. 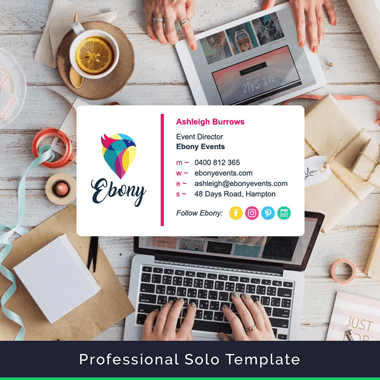 Email Signature Rescue has to be the easiest, and most professional way to get an awesome looking, and functional email signature. By functional I mean getting your social icons in there and building your following. Especially good for mac users which is the reason I went with ESR. Great product!!! Easy to create and add to our emails. Great for business and easy to use. I have all my social media links and icons and website link to the signature. Easy to create and add to our emails. So many people notice my signature and compliment it. We love our signatures. We have had many different signature solutions over the years and Email Signature Rescue has by far been the best solution we have found. It does everything we want and looks great. Not only do the signatures look good, they took very little time to configure and build and before we knew it, we were using them. Thanks for making us look so professional. We have been using Email Signature Rescue for over 6 months and are thrilled with the results. It is fantastic to not only have my company logo and contact details in each email, but we've seen a correlation between new social likes after sending an email with your social button signature features. It's also easy to Skype with clients with the Skype button linking out to our skype name. All of this without the mile long signature I used to have with all the social URLs. Thanks for making us look so professional. It's totally awesome and totally worth it!! After a lot of searching for a program to work with Mac products, I finally came upon Email Signature Rescue in Early 2013. I guess I wasn't the only one disappointed with the options out there especially since I was not a coder myself. It's totally awesome and totally worth it!! Simple, easy, and with the release of the use for my iPhone earlier this year, I can give the same appearance on the other end as if I'm sitting at my desk. Keep it up!! Makes everything easy and simple! We have been very pleased with Email Signature Rescue. We are a small team continuing to grow and really appreciate and love the plans. A small team of three doesn't have to pay the prices a team of 10 pays. We also really like the clear cut directions that are provided of how to install your signature within your email. Makes everything easy and simple! Hands down - Email Signature Rescue will give you, and your email recipients, the best experience of anything on the market. 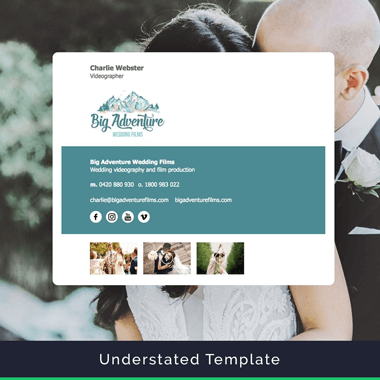 The templates are clean, easy to use and a great presentation for any User type - with any email client. Images are fast loading. The customer service is fantastic and every effort to satisfy a Users needs are exceeded. I searched for and tested many options, and Email Signature Rescue is not only reliable and easy to use, it has received many compliments from customers and colleagues. Merritt Wiley, Staff Crafters, Inc.
We can build our own signature template and not hire a digital branding firm to do it for us. Just great! The signatures used in emails sent by our firm are often the only business card to our business partners and clients. 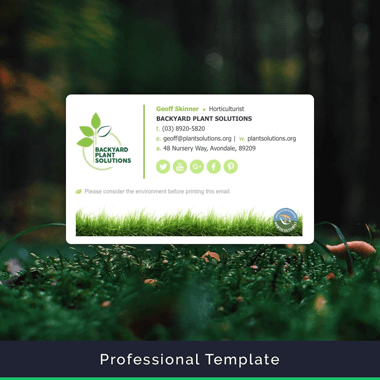 We want to promote professional confidence, so we choose Email Signature Rescue because signature templates allow us to create a digital business card that reflects our company brand and values. 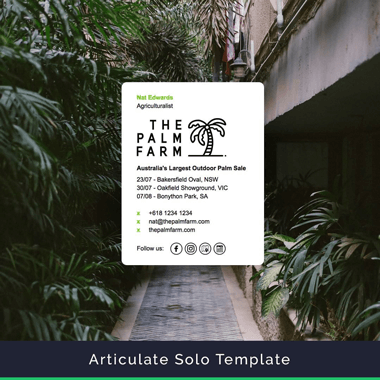 We can build our own signature template and not hire a digital branding firm to do it for us. Just great! I got tired of my regular old plain text email signature and decided it was time to style it up a bit. 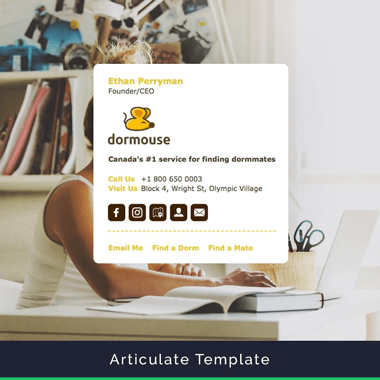 I've tried out other email signature services and none was as nice or easy as Email Signature Rescue. I really like the variety of templates to choose from, and how easy it was to add all the info I wanted. And it also makes my company emails look more professional. Outstanding! 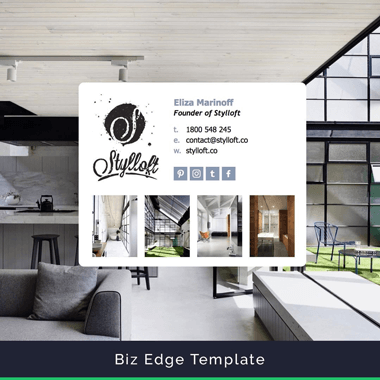 Works well to keep businesses 'on brand' and looking their best, all the way down to their email signature. This is easy to use and tech support is prompt in responding to tickets. I was ecstatic to find all the features we needed and then some! 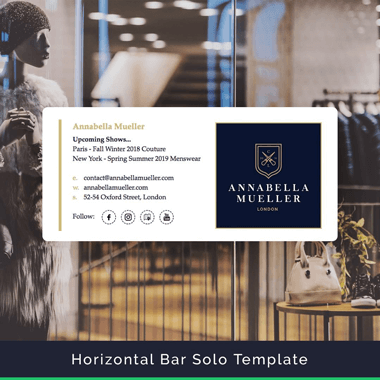 My company has needed a solid multi-platform signature for branding for quite a while and when we tried Email Signature Rescue I was ecstatic to find all the features we needed and then some! Plus it works through any email app when sending to our client who expect a certain level of professionalism. Get it. We started using ESR about a year ago, as part of cleaning up our overall corporate entity, and it's greatly improved our consistency in our day-to-day communications. The interface is very easy to use, and allows for multiple signature options for companies with various brands and/or service offerings. If you have any doubts about this service, then don't! This is the best service ever. I have been looking for something like that for few years. It ticks all the boxes! Definitely a must have for IT company. And their technical support is awesome - quick and actually helping. If you have any doubts about this service, then don't! It is brilliant. They actually deserve 10 stars out of 5! All the best to whole team at emailsignaturerescue! Awesome product, so easy to use, looks good, cheap and modern and stylish. Made my life a lot easier. 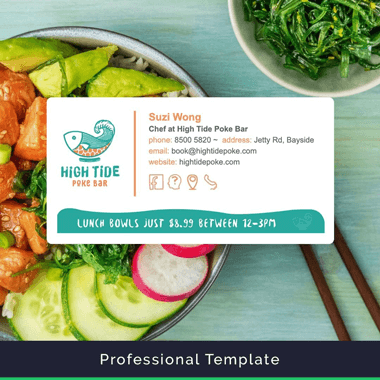 Email Signature Rescue was exactly what we needed to create multiple email signatures, that look good and are easy to create and update. ESR Support are also very friendly. Would definitely recommend it to other small businesses. Great service. 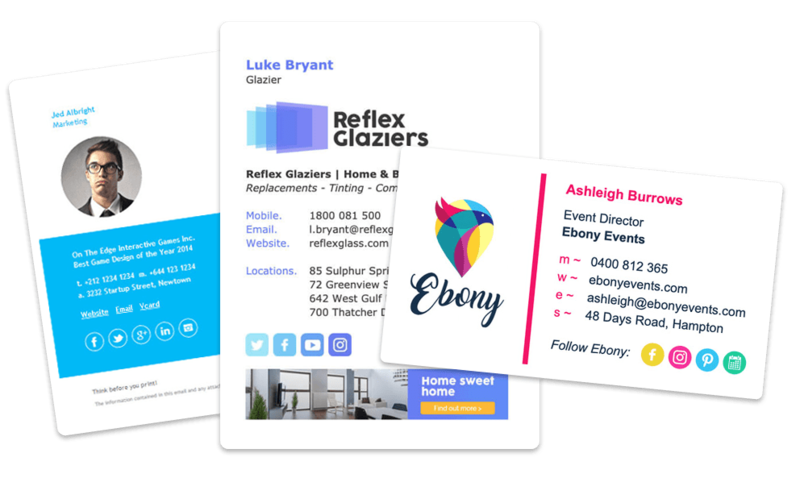 Signatures work a treat in our email clients and our logos don't appear as attachments in a body of an email which was our biggest draw card. Way to go. Worth every penny. 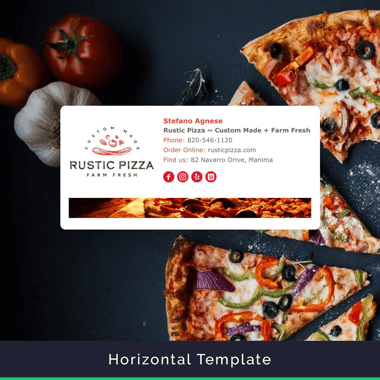 Thank you Email Signature Rescue for making the set up of an html email signature simple and easy. 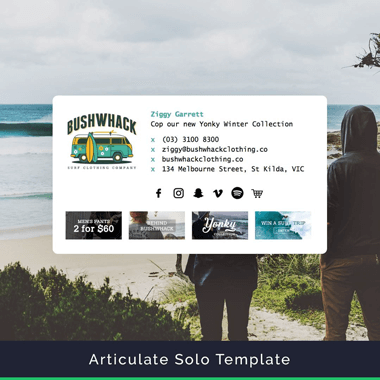 I originally chose a signature from your templates which was featured in Beta-version. The signature didn't appear similar on all units at first. When I emailed your support, they reverted back to me in minutes and your technical team fixed the issue within 24 hours. We are now up running on Macs, iPhones and iPads with our preferred email signature template. The stats speak for themselves... When checking my analytics recently, I noticed a significant portion of the traffic to my website and social media pages comes directly from my email signature. 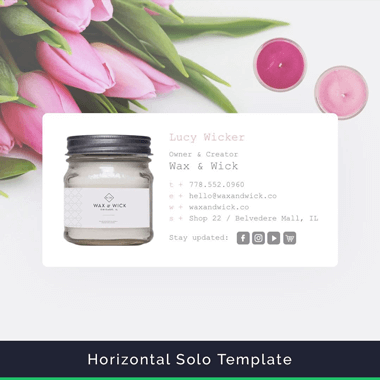 I get comments on how great my email signature looks and I love knowing it looks that great for everyone who opens an email from my business. The hardest part was setting up the email signature on my mac computer. But with the clear instructions on your installation guide I was eventually able to do it (and feel like a bit of an IT boffin once I did!) Thanks email signature rescue! Love, love, love the new email signature... Beyond happy! Love, love, love the new email signature that I created for our business! It looks so professional, and conveys all of the relevant links for our customers to connect with us. Many times email is our initial contact with customers after they visit our website, and this signature reflects the professional service that we offer. Beyond happy! Tracy Jones, Premier Roofing Co. The signatures look fresh and professional on my staffs email and many people have commented on them. I am very happy with the product. This service is fantastic, simple, effective, and the small price negates any headaches of trying to do it manually. 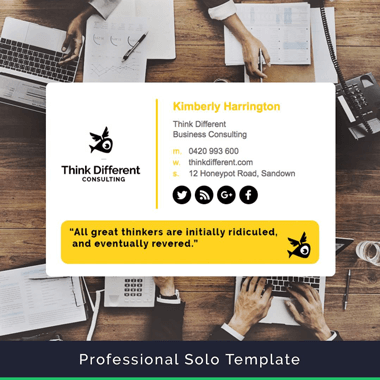 Best tool to customise effective html email signature. 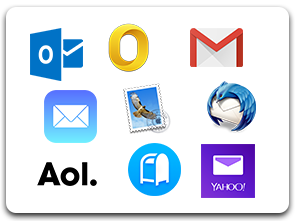 Works great with apple mail service. What a fantastic product. Made creating a HTML signature a walk in the park. Would highly recommend. AWESOME. Fought with Mac Mail signatures for years and finally a professional-quality way to make it happen! Keep adding templates, I'll be back! Finally the perfect signature! Attempting to do this my self proved to be impossible. Very happy with the results :-). Would recommend to friends and colleagues. Great product, easy interface, fair price. Great product, easy interface, fair price. Email Signature Rescue gave me exactly what I was looking for, and I will use them again. Worth every penny, keep up the great work! >After hours wasted trying to create a signature that included my logo and social media icons WITHOUT rendering them as attachments, I'm sure glad I found your site. I mean, who wants to deal with actually writing HTML?? You guys rock! Within an hour, I now have two signatures developed that look great! Worth every penny, keep up the great work! Email Signature Rescue was my quickest and easiest way to add a great custom signature to my apple mail...something I have been longing for for a while, and now I have it!!! Customer service is great and they are always interested in hearing from the customer about the services and how to improve...totally recommend! I'm so glad I finally found you guys! Love the program, I searched high and low for a program like yours and I'm so glad I finally found you guys! Before using this service I was using a jpeg, embedded into my emails. It was never sized correctly, would become a blank "jpeg" file, and was unclickable, so it wasn't as functional as my new signature. I have already recommended Email Signature Rescue to a few of my friends and peers for their own businesses. Very simple and quick to setup. Love the look! Email Signature Rescue has allowed me to be more professional when emailing my customers. It was easy and straight forward to use, I highly recommend it.